I had the privilege of meeting Dexter Hammett this week, the lead actor in the film entitled “A Murder in the Park” . The documentary chronicles the true story of Alstory Simon, the man who spent 15 years in prison for a crime he didn’t commit after being coerced into giving a false confession to a 1982 double murder. 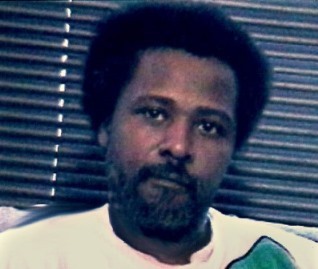 The lead investigator, hired to investigate the death-row inmate’s claim of innocence, put a gun against Alstory's head at one point during the interrogation to get him to confess . In 1999, his video-taped confession exonerated the death-row inmate who’d been convicted of the crime 48 hours before he’d have been executed . In 2011, the state of Illinois abolished the death penalty, in part, based on this prisoner’s exoneration in 1999. The exonerate has since been convicted four times of various criminal activities; however, he cannot be retried for the murder because of the Constitutional right against Double Jeopardy . For Alstory, the confession sparked the beginning of his trial, conviction, and prison sentence of 37 years. When he was ultimately freed in 2014, the presiding Cook County judge denied him a Certificate of Innocence, which would have permitted him a chance to receive compensation for a wrongful conviction . Alstory’s defense attorney, Terry Ekl, “said it’s not unusual for a suspect to confess to a crime he did not commit, noting Illinois has seen many murder convictions tossed out because a defendant’s confession was coerced. ‘This is a very, very complicated and confusing case; and there once was a time when all of us thought that people did not confess to things they didn’t do. We now know that’s not true, so the whole set of circumstances surrounding this case are far beyond what you would call a standard confession, where a person is admitting what they did. So it was an extraordinary case,’ he said” . Tuesday night, I had the opportunity to meet a senior staff attorney with the ACLU who gave a talk on the many pitfalls and disastrous results since inception of privately operated prisons. Recently it’s become a hot topic, in more than a few states, as the recession causes governors and legislatures to look at ways to reduce budgets. The majority of private prisons are operated by one of two corporations: Corrections Corporation of America (CCA) and GEO Group . They were originally intended to save money. States contracted with them on the premise that they would operate annually 5% cheaper than state prisons . This alone might have made a logical person suspicious of the motive of turning punishment into profit, especially when prisons need programs to offer rehabilitation and training courses for inmates soon to be released, when guards must be paid and offered retirement or other benefits like any other job, and both inmates and guards need to be kept safe. Cutting funding seems counter-productive. Regardless, any drastic reduction in costs didn’t happen. In fact, according to a 2012 report, Arizona is losing money; $3.5 million more per year is spent on for-profit corporations over state-run prisons . That’s not to say that the corporations are not turning a profit. “When a state government enters into a contract with a private prison company, it legally binds the taxpayer to pay the company a certain dollar amount per inmate per day” . Since 1987, the prison population soared, tripling in number to 1,596,127 . In 2010, both CCA and Geo Group made more than $1 billion each, with CCA reporting revenues of $1.675 billion [3, 8]. Corporations exist solely to make a profit – for its shareholders. In this case, profits not seen by the taxpayers subsidizing that income. CCA and Geo Group also have a strong lobbying base. In the past decade, $45 million was spent on lobbying efforts by the private prison industry . Private prisons are also more dangerous. The first privatized prison in the U.S. is located in Ohio, which is Lake Erie Correctional Institution (LaECI). After a surprise inspection in February 2013, the Correctional Institution Inspection Committee (CIIC) released a brief, which reported a 300% increase in inmate-on-staff violence (possibly due to ratio of staff to inmates after continued layoffs) and a 187.5% increase in inmate-on-inmate violence from 2010-2012 . Additionally, turnover rate is considerably higher at private prisons at 53%, while with state-run prisons levels were much lower at 16% . This means that existing staff is not senior or well trained at preventing riots, rapes, assaults or escapes. LaECI is now reported as being overcrowded at 130% capacity, with single-person cells holding up to 3 inmates each . You can see how high capacity would generate more income for shareholders, but made at a loss to taxpayers’ own bottom lines. “The interests of taxpayers and private prison shareholders are similarly opposed” . Not least of all is the cost to communities who may have to compensate for having an incarcerated family member. One who potentially will not be rehabilitated and therefore have less success at parole, which in turn would generate more revenue if the offender is returned to prison. This is another problem with private prisons: the lack of rehabilitation. The top five states with the highest percentage of privatized prison beds each has a higher three-year recidivism rate than Ohio . Additionally, Ohio’s two private prisons offer fewer rehabilitation and training than their public counterparts . These kinds of programs help ex-offenders cope with their emotions, learn to make better decisions and simply function in society upon release. 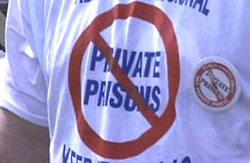 A 2005 study published in the Journal of Law and Economics found that “private prisons had ‘no contractual incentive to provide rehabilitation opportunities or educational/vocational training that might benefit inmates after release, except insofar as these services act to decrease the current cost of confinement’” . Finally, there is a problem with oversight. Governors can fire wardens at poorly managed state-run prisons, but not the private ones . Private prisons are run by corporations whose accountability is only to its shareholders. In many states, private prisons are exempt from public records laws . An Ohio state auditor tried to audit a correctional facility in 1987, going so far as to sue for noncompliance and was told, “’…it was not required to produce the requested records because it is not a public office as defined in’ Ohio’s Public Records Act” . The Ohio Supreme Court ruled for the institution. Privatizing prisons is clearly not the way to keep our communities safe, and is proven not to lower costs. Keeping guards and inmates safe, lowering recidivism and the overall cost to communities should be our top priority. While it would seem contrary to popular demand, this would be accomplished by allowing more funding to go to public prisons and ending private prisons’ autonomy if they are to remain in existence. ACLU Report. 2011. Prisons: A look at prison privatization, p. 2. Child Abuse or Medical Misdiagnosis? On October 3rd, 2012, a local man rushed his girlfriend’s 8-month-old daughter to the Helen Devos Children’s Hospital after she had suffered from a seizure. The attending physicians found that she had a skull fracture and that her brain was swelling. He spent the next two days getting questioned relentlessly by medical professionals and detectives. They were accusing him of injuring the infant accidentally. A week after the incident occurred, they arrested him and are now charging him with child abuse in the first degree. This charge carries a heavy prison sentence of 7 to 35 years. He was not the only one home with the baby, and they did not perform all the necessary medical tests to rule out any underlying medical conditions. His trial is just in the beginning stages. This has left everyone that is close to him wondering: why him? What really happened on that day, and the preceding days, to that child? Prosecution of innocent parents for child abuse is increasing in our society due to the difficulty defining child abuse, biased medical opinions, and the lack of proper investigations. The United States Child Abuse Prevention and Treatment Act defines child abuse as any intentional act or failure to act by a parent or caretaker that results in a child’s death, serious physical or emotional harm, or sexual abuse or exploitation. (para. 1). However, when you look up the word “abuse” in the dictionary, there is no one clear definition; but multiple definitions are found to explain the meaning. According to Elmer (1966), “the definition of abuse is by no means clear and commands no consensus – even among knowledgeable professional people”. If the incident is not witnessed by any other than the accused, who is to say that it is abuse in the first place? Many signs of medical conditions found in infants can be misinterpreted as abuse if the proper medical tests are not performed. One of these conditions is known as rickets. This is a deficiency of Vitamin D, which causes bones to be brittle. With the possibility of underlying medical conditions being misinterpreted, it is nearly impossible to clearly define child abuse without further testing taking place. When a child is taken to a hospital’s emergency department with injuries, no matter what the severity, the attending physician should do a complete examination. This includes testing for such things as vitamin deficiencies. With child abuse prevention and treatment laws being put into practice, physicians have to determine if these injuries were caused by child abuse so that the abuse can be reported to the proper agencies. For the purpose of reviewing medical procedures in examining an infant/child with injuries, let’s focus on one case as an example. Alice and Miguel Velasquez took their daughter to a Maryland medical center for some x-rays after Alice had noticed some bumps on their daughter’s left ribs (Shannon, 2007). Shannon (2007) reports that after getting the results back, “Doctor Reed states, ‘These injuries are non-accidental,’” (para. 6). There were no tests done to rule out medical conditions in the family’s history that could explain these broken ribs. Allison pleaded for her daughter to be tested for osteogenesis imperfecta, also known as brittle bone disease; but the proper testing was never done. They accused Miguel of child abuse, and the couple temporarily lost their daughter to the state. This caused tremendous stress for the Velasquez family. Allison lost so much weight; she weighed less than most fifth graders. She could not focus on her tasks at work and was forced to take a leave of absence. This was a financial burden for them. Their suffering was based on one statement, and one statement alone; there were no other signs of child abuse, such as bruises, lack of appetite or always seeming hungry, and the distaste for being touched (Department of Human Services, 2013). She was a happy, normal-developing infant. The professionals that Allison pleaded with said that she was just making excuses to help her husband get away with this horrendous crime (Shannon, 2007). The Velasquez’s court appointed attorney later asked for an order to be put in motion to have the infant tested for osteogenesis imperfecta. It took months for the test results to come back; however, when they did, the infant tested positive for the disease. This was Miguel’s ticket to his freedom! However, he was not free from the ridicule this incarceration evoked from the public. He could not find a job to help with the financial difficulties that developed because of these horrendous accusations. Due to the biased medical examiner stating that these injuries were caused by abuse, the proper medical tests were not performed. If the testing would have been done during the initial examination, these parents would have been saved from the stress of being forced to separate from the daughter and being accused of child abuse. This leads to the mentality that someone has to pay for what has happened to someone so innocent and helpless. All of the sudden, the accused is looked at as a monster. The prosecution is given the ability to take circumstantial evidence, such as broken ribs, and create a circumstantial situation to explain the injuries. In cases that involve the injury or death of a child, the accused is considered guilty without reasonable doubt until they can prove their own innocence. This is not what the principles of our judicial system are supposed to be based on. Whatever happened to the presumption of innocent until proven guilty? In the Velasquez’s case, it took years for them to regain custody of their daughter; but it only took a short time for their lives to be completely destroyed by that one doctor’s statement. Society needs to push for changes to be made to the procedures regarding child abuse investigations. Finding a definite definition for child abuse will be absolutely impossible, because it is so easily interpreted differently depending on an individual’s way of perceiving the information provided by each specific case. Because of the difficulty of defining child abuse, there needs to be more thorough medical examinations completed. This would ensure that all underlying medical conditions can be ruled out before accusations are made towards parents. Therefore, it is the responsibility of the attending physicians to rule out all other possible causes of such injuries. This would enable the detectives who do the legal end of the investigation to be more thorough. There needs to be a home study done, an examination of where the incident took place, and everyone who had contact with the child should be questioned about the incident. If one party is going to be subjected to a polygraph, all parties should. Too many innocent people are spending a large quantity of time in prison, and then spend the rest of their lives receiving judgment and ridicule. While others who are truly guilty are walking away. Children are not receiving proper medical care because their condition has yet to be diagnosed. It is now society’s duty to push for these changes to be made. It is our right to have a fair trial; everyone deserves to have their judicial rights upheld, including the presumption of being considered innocent until proven guilty! Elmer, E. (1966). Hazards in Determining Child Abuse. Child Welfare, 45(1), 28-33. Pinto, S. & Schub, T. (2012). Child Abuse – Physical (United States). Jen Coburn graciously permitted me to repost her college paper as a guest blogger. Ms. Coburn is a Michigan native studying Business Administration with a concentration in Human Resource Management at University of Phoenix. She first turned to the topic of pediatric head trauma when a friend of hers was falsely accused. Does Compassion for the Victim Run Afoul of Justice for the Defendant? Compassion, empathy, sympathy – in most human beings these are ingrained qualities. We have a drive to help others when they find themselves in harm’s way. Signs of this are seen everywhere. People leave their homes and jobs to go to other parts of the country to assist when natural disaster strikes; strangers stop at accident scenes to render aid to the crash victims; neighbors run into burning homes to rescue the residents; make-shift memorials appear along roadways and on streets where others have been injured or killed. My home in Pennsylvania is within about 2 hours’ drive from Shanksville, where United flight 92 crashed on September, 11th. I visited the site and found a wire wall filled with flowers, firefighters’ helmets, letters of condolence and all types of offerings in remembrance of the passengers and crew. It was so emotionally overwhelming that it brought tears to my eyes. We, as humans, strive to find a connection to those in trouble or who are suffering in order to try to ease their pain. This need to become involved also translates into the area of our justice system. People not close to the victim or the families of the victim still want to show some type of solidarity to those who have been harmed. This is even truer when the victim has suffered from an extremely violent crime or when the victim is a child. People gather together at courthouses, at city parks, at the victim’s homes. People carry signs and banners of support, light candles, sing songs. All these are methods that people use to show that they sympathize with others and that they are genuinely interested in the welfare of their fellow humans. All this outpouring of emotion begs one question – Does it prejudice, in any way, the rights of a defendant to a fair trial? In the opinion of this writer, a good argument can be made that it does just that. Two reasons come to mind for my conclusion. First, while I agree that the outpouring of feeling may help the ones that are victimized, I think that, if the public crosses the line into projections of a general desire for punishment or retribution, the sentiment flies in the face of constitutional rights that are provided for the defendant. So when does public sentiment cross the line? Watch any of these displays and you will see signs and banners that the defendant should be severely punished, that the defendant is guilty, that the defendant is a monster that does not need to live among a civilized community. These sentiments have nothing to do with compassion for the victim and everything to do with the public’s basic instinct to take the matter of law into their own hands. What makes this situation even worse is the way that the prosecution and police departments buy into the sentiment and the way such organizations use these public outburst to foster the idea that the defendant is guilty just because he or she has been arrested, charged and is being brought to trial. This conclusion of guilt is not within the prevue of the police, the prosecution, or the general public. It belongs to the jury panel and the jury panel alone, but we can only wonder how any prospective jury member, or for that matter any non-sequestered jury panel member, cannot be affected by this type of influence. Jury panel members are also people who feel compassion for their fellow human but, once they are chosen to sit in judgment of another human, they must put aside that compassion, forget the public’s outcry and make their decision on the elusive idea of “beyond a reasonable doubt” based on evidence as presented. 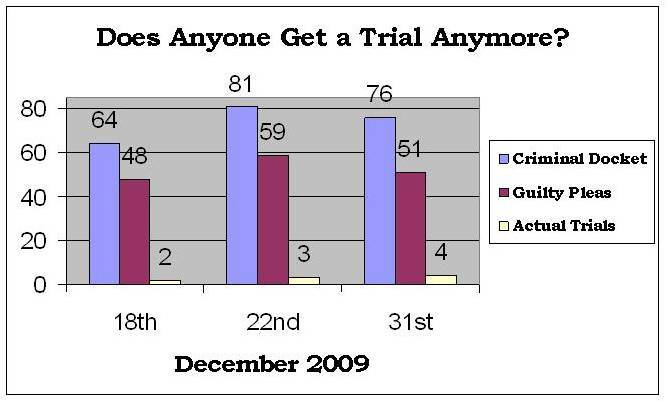 This is the only way that our trial system can be fair and bring the proper justice to the defendant. This leads to my second thought. Does the victim or the families of the victim deserve justice? While the reader may disagree with me, I tend to take the stance that the victim neither deserves nor is provided with the right to justice. I do believe that the victim, or his or her family, deserves some type of benefits or compensation for the wrong that has been foisted upon them. The ability to file a civil action is time consuming and costly for the victim and family and the outcome is never assured. I also believe that, in the justice system, victims seem to be on the low rung of the ladder. This is true for those who have been victims of assaults, robbery, etc. because these people are expected to place themselves under a financial burden when they have to take time from work, pay travel expensed, etc. in order to attend trials that are often continued and continued, but this is an administrative matter and not a legal issue. In the cold light of the justice system, in cases that involve homicide, the victim, or more accurately the remains of the victim, is simply evidence used to prove or disprove the facts of case. This is a very difficult concept for the public to consider, but it is similar to the idea that the body of a victim of a non-fatal sexual assault must be considered a crime scene and treated as such in order to gather forensic evidence. It all comes down to the fact that in the rule of law, the victim is afforded no right to justice that right is for the protection of the defendant. Of course, if we accept the fact that misunderstood and misapplied examples of compassion may lead to a weakening of the rights of a defendant to a fair trial (While The Constitution does not expressly provide for a “fair trial” [ the words “fair trial do not appear in the document] the right of “Due Process ,as outlined in the 5th and 14th Amendments, seem to apply when discussing the influence that The Court of Public Opinion may have on a case. ), we must also recognize the public’s right to assemble and the people’s rights to express their opinion on matters of which they may choose (The First Amendment is very clear that people have the right to come together and express their opinion ). It is one of the dichotomies of living in a free and constitutionally protected society. We must leave it up to the public to be able to understand the difference between showing compassion for a victim and demanding retribution of the defendant. We can continue to try and teach the public the difference. In the long run we can do so and know that all our rights will remain protected. Thomas G. Deitman is a degreed paralegal, presently attending Widener University’s Law Center Legal Education Institute. Tom’s interest in the law extends to criminal defense, post-conviction and death penalty appeals. He is a firm believer in protecting the constitutional rights of those accused of any crime. Tom presently holds student memberships in the American Bar Association, the National Association of Criminal Defense Lawyers along with the A.C.L.U. 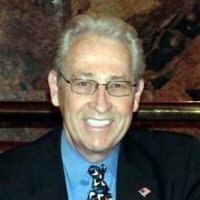 Tom is the founder and owner of Amador Paralegal Services, LLC which is located in the Philadelphia metropolitan area. It is amazing to me that the two most important keystones of the United States’ judicial system, “Presumption of innocence until proven guilty” and “beyond a reasonable doubt,” are also the two most publically misunderstood principles. However the blame for these misconceptions should not be laid 100% at the feet of the general population. Of course, the general public, unless individuals serve on a jury panel, do not become directly involved with “beyond a reasonable doubt” but, for the most part, all do mull over the innocence issue from time-to-time. There might be a direct connection between the lack of understanding of “presumption of innocence until proven guilty” and how juries may look at “beyond a reasonable doubt.” The question, however, is who is to blame for the failure to understand the concept of innocence verses guilt. I think that one can make a very good argument that the Constitution, the very document that was written to protect us, creates the conflict that places the accused in jeopardy when it comes to the “court of public opinion”. The conflict is brought on by the people’s rights of speech and assembly and the press’ right to free expression as stated in the First Amendment, and the accused’s rights as stated in both the Fifth and Sixth Amendments. In these cases, it seems that the people’s and press’ right are more powerful than those rights given to the accused. This is true, even more so, in high-profile homicide cases and in cases involving children as victims. So why do these amendments come into conflict? Well, we need to look at how the system works when a person is a suspect, when that suspect is arrested, indicted and placed on trial for a criminal offense. In doing so, we need to start with the way police departments see the outcome of a criminal investigation as different from the way the people or even the prosecution sees it. In my opinion, police departments build their reputations on what is known as the “Clearance Rate.” That rate is the statistical charting of the number (or percentage) of crimes solved verses the number of crimes committed. How do police departments solve crimes? By arresting suspects. For example, if a certain neighborhood is plagued by overnight care thefts, it is the police department’s job to investigate, lock onto and arrest a suspect or suspects so the thefts stop. At that point, the suspect(s) is turned over to the prosecutor’s office and the issue is cleared. So why is the clearance rate so important to police? Simply put, police departments are judged on how well and how soon it can clear crimes. Remember, police departments answer to public officials and public officials answer to the constituency. Uncleared crime does little to encourage voters to re-elect sitting officials. In the internal working of the police department, cleared crimes translate to citations for officers, promotions for detectives and job security for the police chiefs. The same is true for prosecutors. Their job is to get convictions for the individuals that the police send to them. How do prosecutors benefit from convictions? Well it does get criminals off the streets, which the public sees as beneficial to society; but it also creates a success rate for prosecutors who want to progress in the office and to D.A. who may want to be re-elected or have their sights set on higher office. So, how does all this impact the public’s view of “presumed innocent until proven guilty”? It all comes down to information, both overt and subliminal. Once the police arrest a suspect (especially for a high-profile crime) the press conferences start and the D.A. usually stands at the podium surrounded by a high level police official. The language used is usually highly inflammatory and aimed at the accused and showing great sympathy to the victim and the victim’s family. Sometime during the press conference, a video is aired which shows the suspect in handcuffs, surrounded by all types of law enforcement types as he or she is marched into the jail or courthouse. This display even has a name. It is called the “Perp walk” and since “perp” is short for perpetrator, it gives the impression that the suspect is officially the one who committed the crime. These press briefings are carried on through the prosecutorial investigation and more and more information is divulged, which only tends to cement in the public’s mind that the suspect is guilty. Convinced of guilt, the general public holds rallies for the victim and against the suspect, and these get-togethers are covered by both the printed and electronic press and supported by both the police and the prosecution. By now, the court of public opinion has convicted the suspect and sentenced him or her to the worst possible punishment. After all this, the suspect must now face trial with his or her future in the hands of twelve people who have also been bombarded with all the negative information and who must be able to reason innocence or guilt utilizing the very abstract theory of “beyond a reasonable doubt." So what is “reasonable doubt”? Remember, during the O.J. Simpson trial, when the late Johnnie Cochran coined that memorable phrase, “If it does not fit, you must acquit.”? Generally most people thought that he was speaking about the bloody glove that Simpson was unable to get on his hand. The truth was that Cochran was using the glove as a metaphor for the entire case brought against Simpson. “If it [all the evidence you have heard] does not fit, you must acquit” was Cochran’s’ way of defining “reasonable doubt." In his closing argument, Casey Anthony’s defense lawyer, Jose Baez defined “reasonable doubt” in a different way when he told the jury that after all the evidence and testimony was presented, if the jury members still had one unanswered question about the evidence and or testimony, that one unanswered question was enough to create “reasonable doubt”. In both cases the jury members got the message. The two examples, Simpson and Anthony, both ended on acquittals based on reasonable doubt; I believe that the reasonable doubt itself was based on different issues. Looking at the Anthony case, I would argue that this case, above most, was decided on about as pure an idea of reasonable doubt that any jury could reach. The prosecution’s evidence did not prove how Caylee Anthony died. The forensic evidence was flawed and highly refutable. The story of the finding of Caylee’s remains was confusing and difficult to put together. Casey’s creation of mythical friends and jobs, while used by the prosecution to try and prove truthfulness or lack of it, could be argued as being caused by other non-relevant issues. Each one of these issues alone was cause for reasonable doubt, but when all are put together the argument for reasonable doubt is overwhelming. The Simpson trial is a little different yet the jury found enough reasonable doubt to acquit here also. In my opinion, the reasonable doubt in the Simpson case was not based on fact so much as it was based on the LAPD and prosecutor’s office to properly gather and present the facts. It can be argued that the Simpson jury found reasonable doubt not that Simpson did not commit the crime, but that the way evidence was handled and the way the mechanics of the case were handled led the jury to believe that Simpson was a victim of overzealous police and prosecution and questionable honesty on the part of witnesses. Famed law professor and Simpson defense attorney Alan Hirschowitz summed up this type of reasonable doubt when he said something to the effect that the underlying truth may have been that the police and the prosecution tried to frame a guilty man. The Simpson case, in my mind, is unique in the fact that, to me, such a decision made by the jury to acquit based on perceived police and prosecutorial issues gives even greater strength of our judicial system than does the acquittal of Casey Anthony on pure reasonable doubt. Unfortunately for the now acquitted suspect, the court of public option does not reverse itself even after the legal verdict is handed down. The public’s lack of understanding of the concept of “beyond a reasonable doubt” does not allow it to absolve the acquitted individual. Even after all is said and done, in the minds of the general public, unless a verdict is “guilty on all counts”, the public will never be satisfied that justice was done. Until defense lawyers, paralegals, advocates, and anyone else whose work is to protect the suspect’s rights and to educate the public work harder to clarify the way the court of public opinion impacts the legal system, the flaws in that system will continue to hamper the suspect’s right to a fail trial. Scenes of a Crime. Dir.s. Hadaegh, B. and Babcock, G. (2011) Film. 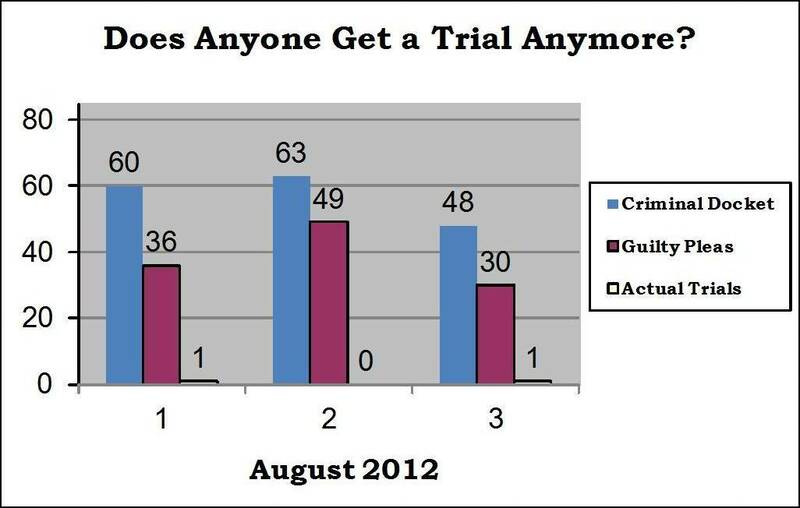 August 2012 continues the trend of a significantly higher rate of dismissed cases in the criminal docket system per day. Does this mean that prosecutors are bringing meritless cases or something else? Unfortunately I don't have information as to whom dismissed these cases. Two cases in this month's range were abated due to the defendant dying and one of the cases that went to trial actually garnered a not guilty verdict from the jury. If you've been following my blog you can see how your chances are at getting one of those, let alone getting a trial in Cuyahoga County. So what is the problem? Are our criminal dockets too full? Well, the short answer to that is yes. None of the judges would be able to hear their civil dockets and criminal dockets in their entirety if every case went to trial and only lasted one hour, which would be impossible in itself. Can guilty pleas clear a docket? Well, the short answer to that is yes, as well. So what is the solution? Based on my studies, a lot more pretrial diversions are coming through the Cuyahoga County Criminal Dockets, which is heartening. This is a way to avoid trial, avoid prison time and save a lot of taxpayer money while the guilty party is actually an active and productive member of society, but obviously that wouldn't work for every case. A lot of cases end up drug related. There are attempts at finding ways to treat offenders of non-violent drug crimes in many states, but statistics seem to indicate repeat offenders with treatment in its present form. One thing is for certain, these numbers don't lie and the guilty pleas are too high on a daily basis compared to any other option to clear a docket. Constitutional rights come into play and cannot be ignored. As the Innocence Project will inform through its work with DNA exonerations, not everyone who takes a guilty plea is actually guilty. There are numerous reasons for taking one, such as cost or fear of publicity, emotional blackmail or outright feeling threatened or being threatened by those who are supposed to represent a system noted for its blind justice. A guilty plea may clear the docket, but it lays a very shaky foundation for truth, justice, and keeping those who could be productive members of society out of the system, least of all ensuring that those who are in prison truly deserve to be there. In 2010, I wrote a blog to showcase a very real problem with the court system. The dockets keep flooding the courts in Cuyahoga County and there is simply no possible way for a judge to give a trial to every case that comes cross his/her docket each day. In Cuyahoga County, the judges hear civil and criminal dockets on any given day so that creates a greater chance for a case not to be heard simply for lack of time. So the option to take a plea comes in. Some criminals would agree it's a nice way to avoid some charges, resolve their cases in a faster manner, some attorneys would agree it's a way to avoid a costly trial if the outcome was assured, and some prosecutors would agree it's an easier victory for the D.A. than taking the chance at trial. In the meantime, the numbers are still disproportionate and it's a little unsettling to see the trend has not changed. I followed the dockets for three days, given that that's how I had done it previously, using 2009 docket dates. This time I used consecutive dates of July 18, 19, and 20, 2012. I'm not sure why Thursday, the 19th had so many dismissed cases (17 were dismissed, whether with or without prejudice), nor do I know if this is something that happens regularly. I will update this blog if I do find out the answers. An appeal made the headlines yesterday and given its deeply emotional roots in Cleveland as well as the twist (the man is requesting to withdraw his guilty plea), I felt it needed spotlighted. In 2002, a priest was shot. Father William Gulas was shot and after his murder, his office was set afire . Dan Montgomery was taken in for questioning and after seven hours of interrogation ended up confessing to the police to the murder and subsequent arson. On October 3, 2003, Montgomery took a guilty plea, likely to avoid the death penalty that Prosecutor Bill Mason fully intended to seek . He requested the evidence to be tested in 2004 (DNA), but it was denied. A reporter, once a former classmate of Montgomery’s, took up his cause. Now with new counsel, Montgomery is attempting the near-impossible legal feat: overturning a conviction that started with a guilty plea. This blog is not to debate whether or not Montgomery actually committed these crimes and I don’t even plan to venture an opinion or speculate thereof. Rather, I would like to draw attention to the capability of false confessions. In 2002, the Cleveland police didn’t have to record interrogations (this policy has since changed) . Many states now require the taping and/or audio recording of interrogations in homicide cases . This is in part due to the efforts of the Innocence Project who has to-date been responsible for 273 post-conviction DNA exonerations, of which 25% the wrongful conviction was derived from a false confession or incriminating statements . With video and audio recordings, it is easier to see if a defendant has been coerced into the confession or statement that was given. There are so many others out there not just these or my husband’s plea and twisted statements the police were planning to use against him. If you recall, the North Olmsted Police Department took Elwood to the station for questioning as our daughter left in the ambulance alone. He was questioned by multiple officers and after approximately 3 hours the two detectives went in to interrogate him further. Elwood never confessed to shaking Amanda. He never confessed to doing anything other than dropping her, one time, accidentally. He readily signed away his Miranda rights to issue those statements to the police and answer questions, being the people-pleaser he is and believing the truth would set him free (the fact that it didn't would be a topic for another blog entirely, see Forums for a link to a book about interrogations). His plea according to the legal community is a "confession." Guilty pleas are confessions, which are used as facts in the court room. It is our intent to file another appeal - and soon - requesting to withdraw his guilty plea and have the chance at a trial denied to us originally to have the truth be told (finally). As far as Shaken Baby Syndrome is concerned, a neuropathologist in the UK has already realized that "support for the 'accepted' hypothesis is based on...confessions and convictions" (among other reasons) see Forums: SBS Confessions Used as Scientific Proof. She further stated: "...confessions are unreliable unless the circumstances in which they are made are known." You might be surprised to discover the length authorities will go to secure either a confession or a witness for the prosecution, such as threatening removal of children (as happened with the witnesses in the Massachusetts case that earned the attention of Hollywood, which created a movie based on a sister who didn't believe her brother committed the murder he spent 18 years in prison for. She went to law school, without having had a degree initially and successfully got her brother off on appeal. This movie is based on the real-life case and two witnesses testified against the man, supporting the notion he murdered the victim based upon the threats they received). In fact, those of you who have read Our Story realize that Elwood had been threatened to get him to take the plea. It will be interesting to follow Montgomery's appeal, whether it is denied or not, though his is not the first appeal to be filed for these reasons (see State v. Seeder in NY; a woman successfully withdrew her guilty plea to murder and was afforded a new trial). I will keep you updated accordingly, just as I did with the drug case mentioned earlier. Justice should be blind, not intended solely for those we believe might be innocent. The presumption of innocence is never more important than in a case where a capital charge might be levied (such as with Montgomery and originally with Elwood's - the death penalty). That presumption is the lodestone of the mere ability to establish justice and everyone deserves the fairness of this presumption, the right to a trial, and any victims deserve to know the truth, not be thrown a convenient scapegoat to blame (perhaps wrongfully). Gillispie, M. (2001). Sunday Plain Dealer. August 28, 2011, A1 & A12. While some may find it difficult to believe that innocent people can be convicted when they’re “nobodies” like my husband and me, maybe it’ll be easier to fathom two judges taken into custody and indicted on corruption charges instead. The problems with the justice system are vast and wide-spread. Education is the first step to fixing it. I hear cries from all over (e.g. the MBA of Cleveland, bloggers and other judges) to remember the presumption of innocence and I can’t help but scoff. When is the general public afforded such courtesy or right? The FBI has recorded conversations as part of its evidence against these judges, but I’ll go along with the presumption of innocence if only because it’s what I believe is right and good and healthy for a community that is beleaguered right now with corruption scandals and arrests. I’ll save my derision for Cuyahoga County Prosecutor Mason, whom I believe and hope charges will eventually stick to as well, given the way the stink is blowing in Cleveland. "Cuyahoga County Prosecutor Bill Mason's Sept. 21 letter to the editor does not solve the public perception problem he now faces. When Mason is out campaigning, he uses every opportunity to refer to himself as the chief law enforcement officer for the county. He has done a fine job convincing the public of this fact. Former Judge Steven Terry was also found guilty on 3 of his charges back in June. Terry was on leave but intended to resign his position. McCarty, J.F. (2010). Two Cuyahoga County Common Pleas Court Judges Among Those Indicted in County Corruption Probe. The Plain Dealer. Wednesday, September 15, 2010. Roth, D. (2010). Mason Should Move On. The Plain Dealer. Wednesday, September 29, 2010. A11. Withheld Evidence - Not Wrongful Imprisonment? Who was that prosecutor, you might be wondering? Wait for it, I guarantee this’ll be well worth the wait, dear reader. Fast forward to 2008…wait a minute; that’s funny! That quote from above is from 2008...the same year Assistant Prosecutor Mark Mahoney, who was the prosecutor that handled my husband's case, was awarded a plague and honored with ceremony for his efforts. This prestigious award's name? It seems I have been thoroughly confused about the definition of integrity and professionalism all these years. Unfortunately, the ordeal isn’t over for Mr. D’Ambrosio. In fact even after the federal appellate judge ordered him a new trial based on withholding evidence, D’Ambrosio’s new prosecutors kept finding pesky additional evidence that just couldn't seem to be turned over to the defense attorneys. Prosecutor Mason is appealing this latest ruling that gave D'Ambrosio his freedom. Appeals from the defense side are usually denied when the trial was "fair and impartial" something the withheld evidence denied D'Ambrosio. And after 20 years, D'Ambrosio has served the minimum sentence that Ohio carries for a murder charge even if he had been guilty, although the withheld evidence seems to support otherwise. It will be interesting to follow this appeal, but I have to wonder when this poor man will stop being persecuted by the Cuyahoga County Prosecutor's office. Krouse, P. (2010). Compensating D’Ambrosio for years in prison a question: If he seeks it, it’s not clear that he would get it. The Plain Dealer. Wednesday, March 10, 2010 A1. Editorial (2009). Prosecutor Mason faces a high-stakes call in D’Ambrosio case. The Plain Dealer. Saturday, May 02, 2009. (2010). Discovery rule protects all. The Plain Dealer. Opinion. Saturday, January 9, 2010. A9. Court of Common Pleas or Guilty Pleas? Foregoing what are called probation violations, which are essentially just a sentencing hearing not a trial, and regardless of what outcome at trial I've composed a chart for the dates I was able to find the entire criminal docket for the Cuyahoga County Court of Common Pleas. I had available three random dates in December 2009: namely, the 18th, 22nd and 31st. I didn't choose them for the purpose of this blog and actually hadn't intended to do this until I realized glancing over the docket that there were an awful lot of guilty pleas taken clear across the board, regardless of judge (although I did notice some judges apparently hold more trials, I didn't want to make any delineation based on merely 3 days in one month of the year; it could have been a fluke in other words). The United States Constitution, namely Amendment VI sets out eight  specific rights guaranteed any individual accused of a criminal offense. Leaving the debate about the Constitutionality of plea bargaining aside, why are so few citizens given their right to a trial? Knowing what I know about why my husband ended up taking a plea, and given a lawyer's comments recently, I have to wonder about the ability of a citizen to have their Constitutional Right. Trials are costly we're told. I believe it. Essa's murder trial with only circumstantial evidence took over 3 weeks and ended last Friday, March 5, 2010. This was mostly the prosecution putting forth its case. The court dockets in Cuyahoga County are overflowing with cases. I believe that too. It'll be a discussion for another blog shortly. Judges need to move their dockets along and with 81 cases on the daily docket in one day there's no possible way for all 81 to have a trial. I concede the efficiency to having pleas available. What I don't concede is when an accused is arguing for four days that he wants to exercise his Constitutional right to go to trial and instead is emotionally blackmailed, outright threatened, and coerced into taking a plea (before the recent amendments to the laws governing Open Discovery - see a September 2009 blog http://www.theamandatruthproject.com/apps/blog/show/1795118-open-discovery-discussion - were developed). Take a look at this chart I've created and judge for yourself.